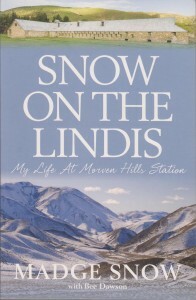 From the Lindis to the Clyde, Morven Hills Station once covered 400,000 acres of tussock-clad hills. It takes a special family to farm there. Join Madge Snow as she recounts farm life in a bygone era, and historian Bee Dawson as she unearths the fascinating early years of an iconic Central Otago station where 100,000 sheep once roamed. The times have changed but these are high-country memories that will never fade.